Had a hectic month and want a reason to escape the city? Wash away the woes at Dream Villa (you read that right! 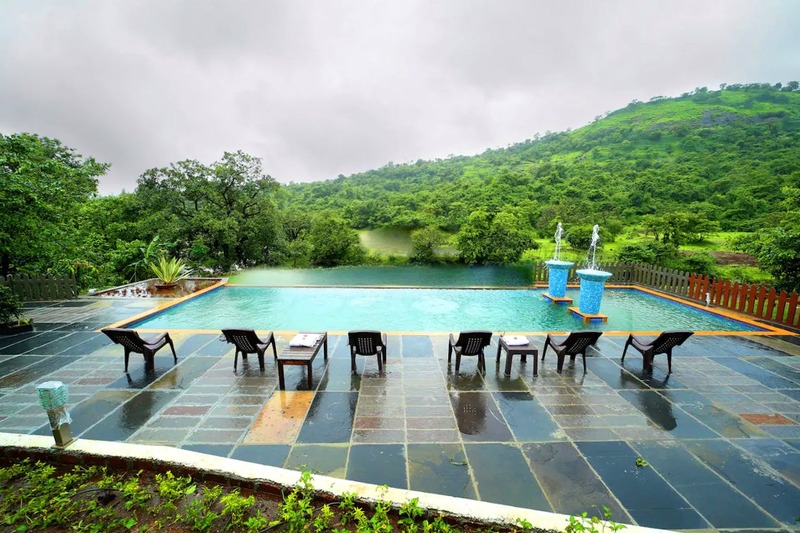 ), a gorgeous villa close to Pawna dam that even has its own infinity pool. The property has over 80,000 square feet of space, with the villa right in the centre. The luxurious 4 BHK is surrounded by a scenic mountain view and stunning waterfalls, right in the lap of nature. You can enjoy a number of activities like basketball, volleyball, badminton, and there’s even a kid’s section. You can opt to stay indoors and enjoy the jacuzzi and steam bath and follow that with a dip in the gorgeous infinity pool that has the best view around. For food, you can even select from a menu prior to your holiday, and if you want to have a party, they will even arrange for a live barbecue. The villa is located very close to Pawna dam and the back of the villa has the view of the water there. So, it’s a great place to whip out your phones or cameras and have a fun day shooting nature and all that it has to offer.